The Quay and the beach at Pléneuf Val André, high tide. Close to Lamballe, a noted ancient town well-known for its National Stud and for the painter Mathurin Meheut, our beautifully looked after maison d’hôtes right by the sea is an ideal stopping place to explore the Penthièvre, Emerald and Red Granite coasts. Lamballe, petite cité de caractère connue pour son Haras National et le peintre Mathurin Méheut, notre maison d'hôtes de charme toute proche de la mer est une étape idéale pour sillonner la Côte de Penthièvre, la Côte d'Emeraude et la fameuse Côte de Granit Rose. 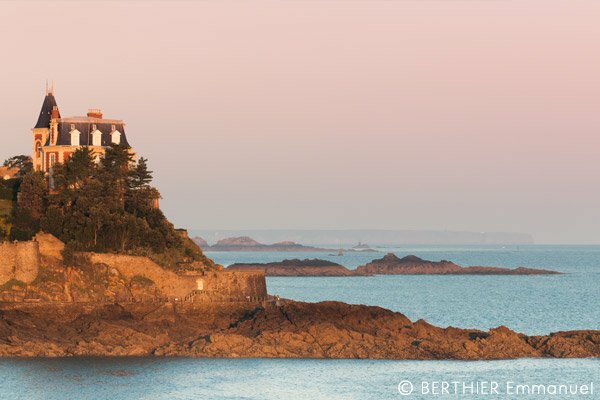 From Cap Fréhel, continue along the Emerald Coast and visit Saint Cast Le Guildo, Saint Jacut de la Mer, St Briac and the Ebihens Islesv, to arrive at Dinard and Saint-Malo. A little further still opens the bay of Mont St Michel, while Cancal, offering you oysters, is right next door. To the West, after driving round the Bay of St Brieuc and feasting on its bouchot mussels which are harvested here, let yourselves be attracted on, from one little port to another and beach to beach all the way to Paimpol via Binic, Saint Quay Portrieux, and Plouha, each in its own way unique and different that between them make up the wealth of our coastline. Pleasant surprises do not cease there. 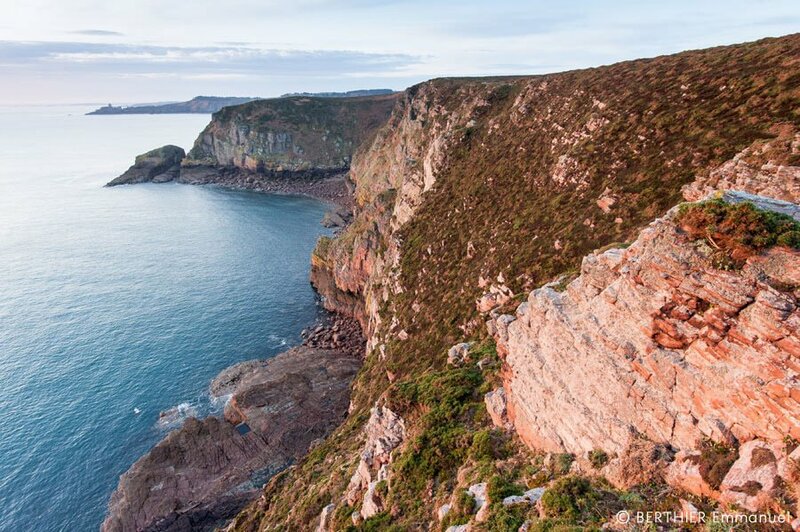 The Red Granite Coast offers you other landscapes, still more astonishing. According to the light and the season, you will see rock and heath a scintillating yellow with flowering broom in the spring, or the luminous rose-pink of bell-heather in autumn. 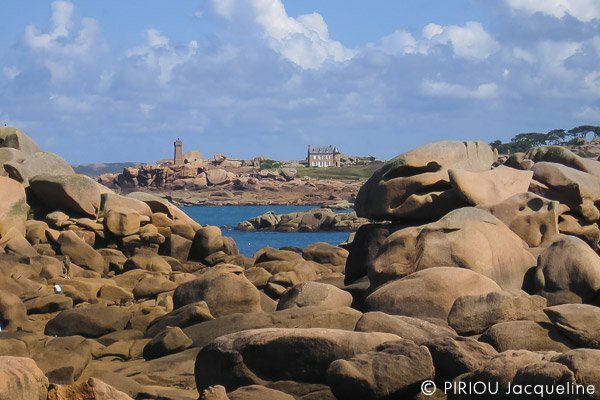 Perros-Guirec, Trébeurden Ploumanac'h and are really, magical and represent as many invitations to pursue the path and why not follow the famous GR34.